Google Assistant is a very powerful AI Assistant, that is capable of doing lots of stuff. Google Assistant debuted last year alongside the Google Pixel and the Pixel XL and was exclusive to those smartphones. Google has now decided to update all smartphones running Marshmallow or above with Google Assistant. The Google Assistant has quite a few tricks up its sleeve and can refine your Android experience by a significant amount. Here, we bring to you 9 very useful tricks and commands which will make life easier. 1. Unlock your device by yelling “OK Google”! Normally we unlock our devices by either using a pattern, pin or fingerprint recognition. 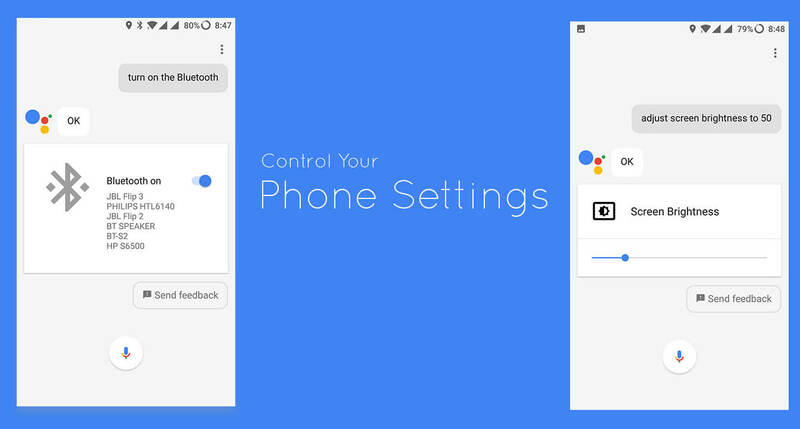 Google assistant can help you unlock your device hands-free. By adding your voice as a “Trusted Voice”, you can unlock your device by just saying “OK Google”. You can add your voice as a trusted voice by going to Assistant Settings->Trusted Voice. Here, give the Assistant permission to unlock the device by voice. And its that simple! 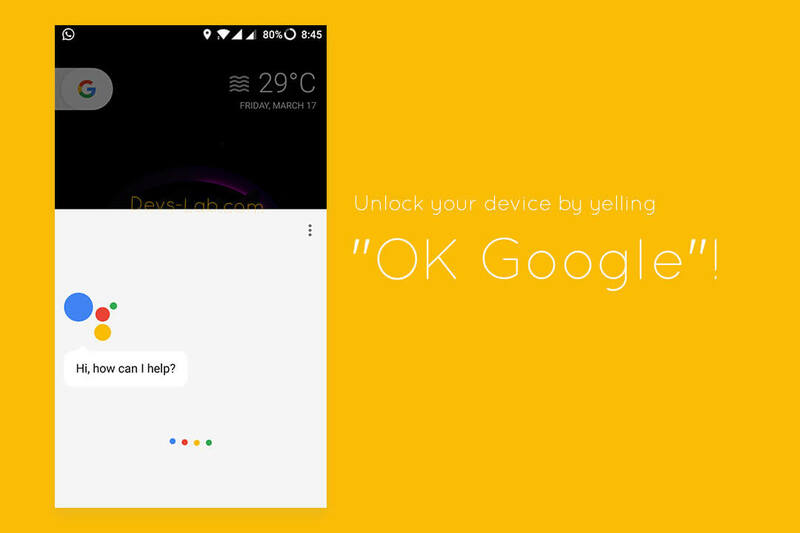 You can now unlock your device by just yelling “OK Google”. How cool is that? 2. You can do Real-Time Translation On The Go! If you are someone who travels a lot, then this feature is for you! There are situations many-a-times, when you want to convey a message in a native language to the people of a different country. 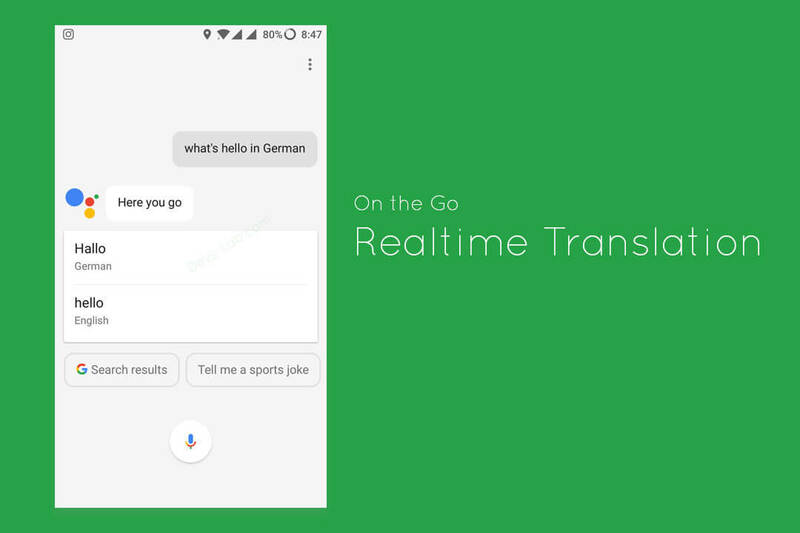 Google Assistant can provide instant Real-Time translations and Google has done a good job by supporting a large number of languages spoken throughout the globe. The Assistant enables you to translate from English to any language. Just say “Good Morning in German” and Google Assistant translates it just fine. It works perfectly well and this is Artificial Intelligence at its best. It is a feature that is worth to know about and is something that can be really useful while travelling. Settings like Bluetooth, Wi-Fi, Hotspot etc are used by all users very frequently. While Android Nougat has made it easier to access them by a single swipe, Google Assistant can help too. You can toggle Bluetooth by saying “Turn on Bluetooth“ or you can say things like “Adjust the screen brightness to 75%”. You can control all the toggles with the Google Assistant and it maybe really helpful in certain situations like turning on the flash light in a dark place without doing much. 4. Google Assistant is a Genius Assistant! The dictionary meaning of Assistant is “a person who assists or gives aid and support”. 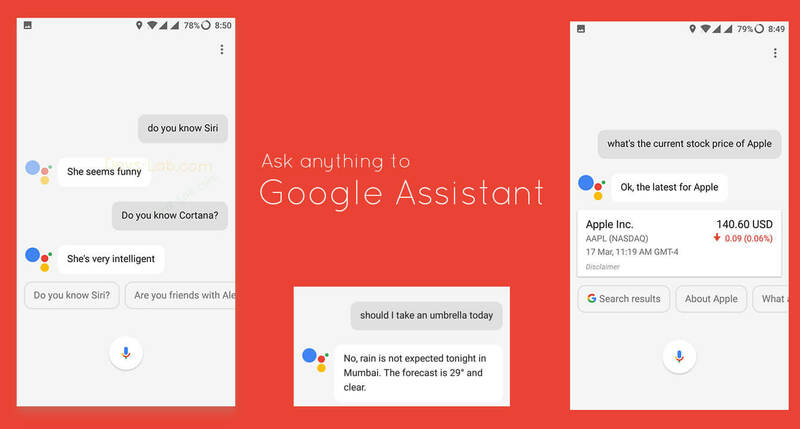 The Google assistant helps in tasks like setting an alarm, setting a reminder, sending an email or text message or even call one of your contacts. Google Assistant is very intelligent and it can answer questions like “Tell me a joke“, “Fun Facts please“. In fact, it can also play games with you, with a limited list of games to choose from. What is the current stock price of Apple? Google Maps is the best Maps app currently in the world. 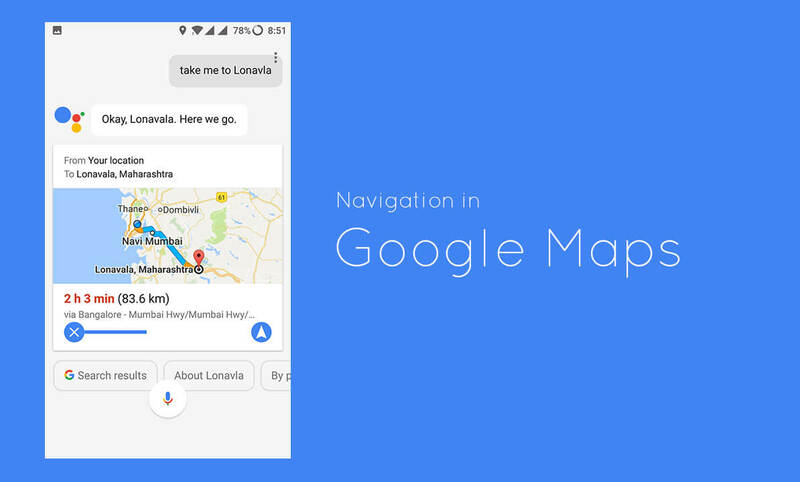 Navigation in Google Assistant has made travelling to unfamiliar places much easier. It also contains information about the traffic to be encountered in the route and gives the estimated time to reach the destination. Google has done a great job by integrating Google Maps completely with the Google Assistant. It just makes navigation a pleasure to use. You can start off and just say “Navigate to work” and the Assistant opens up Google Maps with the co-ordinates plugged in and you only have to hit the navigate button to get started. Easy Isn’t It? A computer has always done complex calculations faster than human-beings. While Google Assistant cannot do complex mathematics like integration and differentiation, it can manage simple but big calculations. 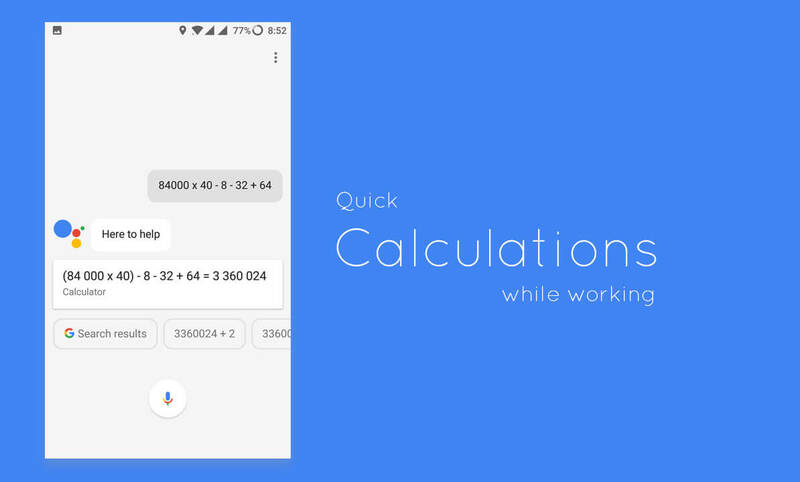 It can be really helpful when you quickly want to calculate math instead of typing it out in the calculator. If you are someone who listens to music for a better part of the day, this feature can be a game changer. You can ask the Assistant to find and play music. Sadly, this feature is not yet completely implemented and only certain apps can take advantage of this feature at the moment. The Google Assistant defaults to “Google Play Music” and “Youtube”. You can search for a specific song or artist and say “Play Linkin Park”. 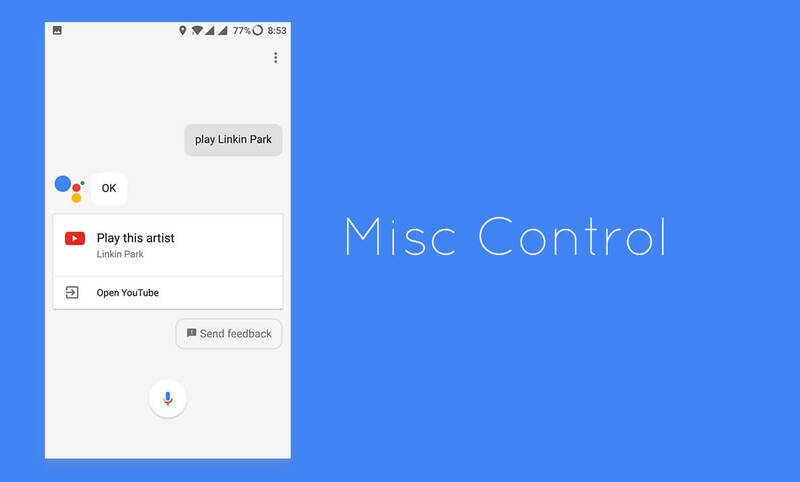 In this case, Google Assistant opens up the Google Play Music app and the songs start to play. A few third party apps like Pandora and Spotify are supported by the Google Assistant and its just a matter of time until more apps are added. This is a feature that is guaranteed to evolve over time. Google Assistant truly knows what’s going on in and around the world. You can start your day by saying “Good Morning” and the Assistant greets you with the the latest news from the sources you have selected. For knowing the condition outside, you can ask questions like “Do I need to carry an umbrella today” and your Assistant tells you the weather forecast for that day. If you do not want to listen to the news feed, you can simply search for specific news. You can launch the Assistant and say “Give me the latest Apple News” and the Google Assistant displays relevant content. You might have played those Emoji games, where you need to guess the movie name from Emoji. Guess what, Google Assistant has some really cool past time games to add fun to your boring hours. You can play quiz, chat with Assistant & also ask few stuffs. It’s really fun to play the Emoji Movies game as most of us never get bored of movies & knowing about new ones. You can also do many more stuffs like getting daily jokes or asking the likes & dislikes of Assistant. Google Assistant seems to be more smarter than Cortana & Siri, as it’s built by the search engine giant itself. Not only this, you can also use the Google Assistant if you don’t have Internet Access. Although you won’t be able to do everything, but you can still do stuffs like Altering Phone settings, Calling, Messaging particular contact & more. 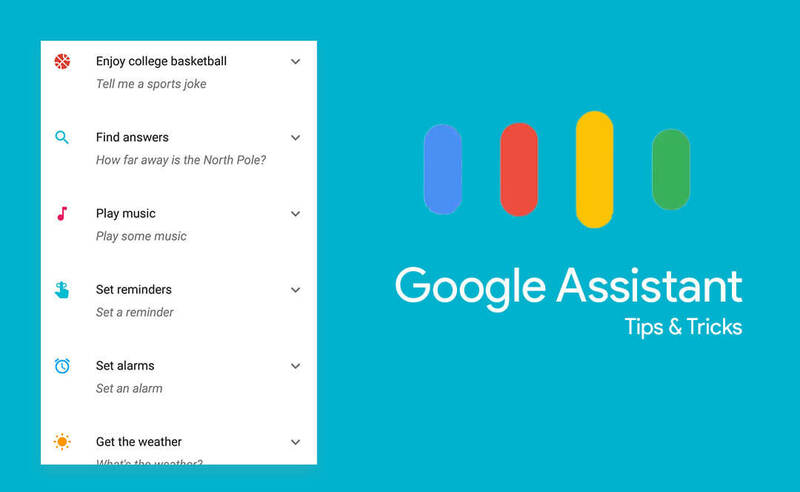 These are a few quick tips and tricks which can make you use your Google Assistant effectively and efficiently. While most of this stuff can be done without the use of the Google Assistant, the intelligent AI Assistant just makes the experience a much more refined one and can help you save some precious time. Android O rumored to come with revamped notifications, picture-in-picture mode and more.